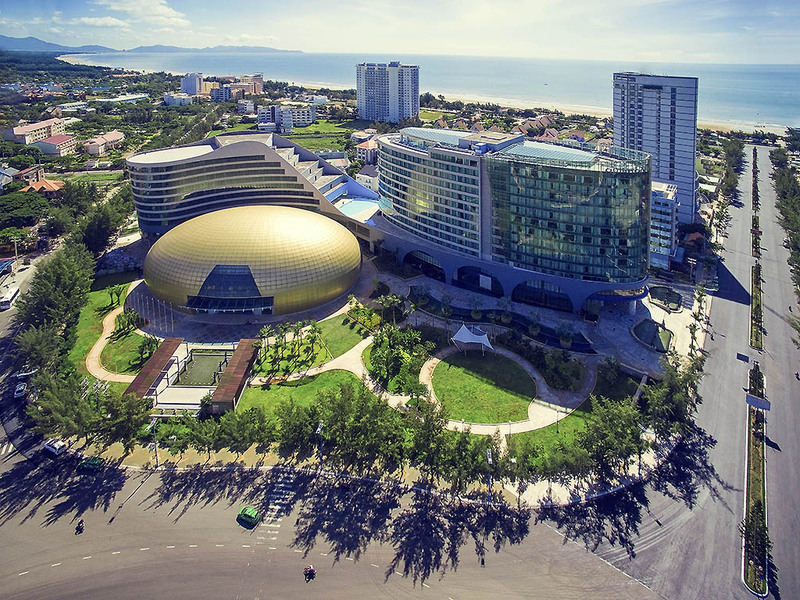 The Pullman Vung Tau is the first and only 5-star international hotel in Vung Tau City. Located 90 minutes by car from Ho Chi Minh City, the hotel offers 356 rooms and suites featuring spectacular views of Back beach and verdant mountains. It has an all-day dining restaurant, 4 bars, a 2-storey conference centre, along with a fitness lounge, an outdoor swimming pool and a beach club. Room can accommodate up to 2 children free of charge. Only hotel in Vung Tau that has Executive Lounge offering exclusive perks.